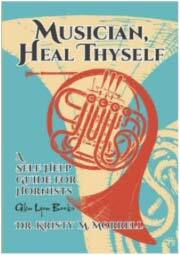 In October 2014, Glen Lyon Books released Musician, Heal Thyself, a book by Dr. Kristy M. Morrell of the Los Angeles Chamber Orchestra and professor at the University of Southern California Thornton School of Music. Tagged as a “self-help guide for hornists”, this book is written to empower the horn player, help them reevaluate the way they approach the horn, and identify potential issues holding them back. Many of us spent our college years looking for the hypothetical “golden teacher”, the one that would lead us to success, but this book affirms that you are your most important teacher and shows you how to make every practice session the best lesson you will ever have. On October 24th, I met with Dr. Morrell outside of her office on the USC campus for the following interview.